It can be difficult for dentists to know which the latest technology is worth the investment. Paul Ganjian, DDS, MA, predicts that Implementation of such technology is heading to be soon a standard of care and as common as having digital radiography and dental software management. There’s no question that dentists should seriously consider intraoral scanners as a future part of their practice. 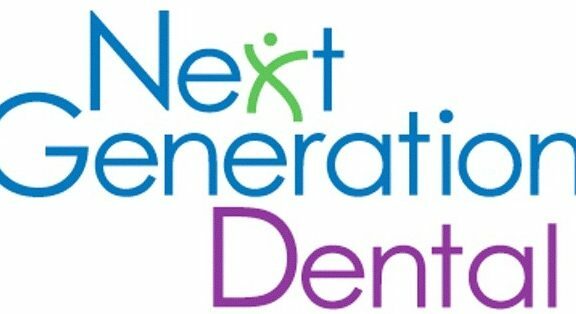 Thanks to the rapid evolution of technology dentistry is constantly benefiting from such changes as partial side effects of these research discoveries of technology manufacturers, it is important for dentists to keep up with these changes by staying up to date on the latest innovations in dentistry. One of these newest revolutions is the integrated scanner. Equally, I’m penning this article I have discovered several more intraoral scanners in countries as far as Israel and Switzerland. This device is capable to revolutionize the delivery of dental treatment and patient management in a format that can be hard to compare to the conception of digital imaging radiography. Understanding the immediate benefits should be considered and compared in my opinion to evolution of smart phone and its later additional hardware and software improvements and add-ons. Some immediate advantages are delivering accurate scans of your patient’s bite or tooth without the demand to take traditional impressions. Implement intraoral dental scanner into your pattern can save time during the early stages of treatment, save money on impression materials, and bring better results for your patient in the long run, plus the ability of immediate restoration in your practice. The list of what a third or fourth generation scanner would be capable of based on an American Association of Digital Dentistry consensus is in short called “Dentistry’s digital Milestone”. The digital dental scanners are all claiming to be consummate. The organized dentistry whom I strongly support and admire has done poorly evaluating intraoral dental scanners. A group of dentists with further minimum training of masters degree in information or digital technology have come up with three simple recommendations for dental practitioners and dental professionals in organized and higher education. 1. No dental association even ADA should endorse or mention the products unless it’s tested by a team of certified experts. 2. Such equipments require a solid commitment from the R&D department which requires historical commitment of the research department and change in the quality of the hardware. 3. Historical research in the R&D information of the current product plus the focus of the manufacturer in constant improvement and upgrade of hardware and software. 4. Reputation of the product by word of mouth and research in the digital news information. The intraoral scanner eliminates many of these time-consuming and often imprecise steps. A digital impression taken by an integrated scanner delivers a quick, accurate image of the treatment region. The nuisances of taking an impression with putty and filling it with messy plaster are no longer factors. The distortions that can happen due to the inconsistent nature of traditional impression material Intraoral scanners are the future of dentistry. By implementing them into your practice at present, you will put yourself and your team ahead of the curve in dental care. Your patients will be tickled with the ease and efficiency of this new technology, giving them even more incentive to move forward with treatment. An investment in Intraoral dental scanner now will be an investment in your practice, your standard of upkeep, and above all, your patients. DENTAL EXAMS: IS IT NECESSARY? Visiting your dentist for a dental examination regularly is very important because it keeps your teeth and gums healthy. Most people do not like visiting the dentist maybe because of the pain experienced during the sessions, or they just get that uncomfortable feeling whenever they are the office, either way it is not recommended. According to the American Dental Association, it is recommended that you at least visit a doctor once after every six. As the saying goes, better safe than sorry and the reason for this recommendation, is to prevent further risks which might occur in years on not visiting your dentist. Other problems linked to dental issues include heart diseases, and that is why having a dental examination every once in a while is very necessary. To prevents major medical issues: During any dental examination they ensure to check for any decay and illness on your teeth and gums. Not only do they pay attention to your general oral hygiene, but also show concern to other body parts such as your neck, face, throat, saliva and how your jaw moves. These examinations will help enable your dentist to determine whether you require any dentistry work performed or any signs of major issues such as oral cancer, diabetes, vitamin deficiency or joint problems. To prevent tooth decay: After a detailed examination on various parts of your body, regular cleaning will be done to your teeth. Routine cleaning your teeth prevents accumulation of tartar or plaque on the teeth surface, decay and gum irritation is mainly caused by soft plagues which harden the tooth making it more difficult to get rid of, at the same time also staining your teeth. Regular routine checks up together with a proper home care routine prevent the buildup of plaques leading to cavity formation, hence teeth decay. The dentists will also make sure to fill up all fillings and all teeth are intact with no visible decay. Fix problems: During regular cleanings the dentist usually determines if there is any problems that need immediate effect, they might carry out an X-ray, check your bite during jaw movement, gum examination or using major dental devices to view around your mouth. In case of anything such as a cavity or damaged roots make an appointment to get them repaired. Dental examination is important because it maintains the usefulness of your replacement teeth, and before you go to any dentist for a teeth checkup consult with your friends, loved ones or doctor for a suitable recommendation. Before being treated ensure that the dentist is in a suitable location and whether they are willing to adhere to your health, and make sure you consider the payment options and consultation fees. In case of anxiety try to talk to your dentist or physician, they will obviously find a way to keep you at ease. Dental examination also includes main discussions about your diet, smoking cigarettes plus other dangerous lifestyle that could lead to oral problems, after every check-up your dentist will make a follow-up visit appointment. Also known as periodontal disease and common among everybody, it varies from a simple gum inflammation to severe diseases that lead to soft tissues and bone damage, which affect the support structure of your teeth or maybe worse, losing our teeth. Depending on how well you take care of your gums and teeth will be a great determinant in the prevention of gum diseases. Periodontal diseases are caused by bacteria together with mucus and food particles, which if not well taken care of could result to a sticky colorless substance on your mouth, also called a plaque. If these plaques are not dealt with immediately they harden forming a ‘tartar’, which is hard to remove through brushing. Hence, one needs to consult their dental physician to get rid of this permanent stain. Tartar and plaque are only the first stage of gum disease formation, the longer they accumulate on your teeth leading to gum inflammation also known as gingivitis. Due to this the gums become red, swollen and bleeding out. It is a mild, therefore it does not include loss of teeth and bones and can easily be retracted by brushing daily and flossing, and taking care or your oral hygiene. It results from not treating gingivitis; periodontisis is inflammation around the mouth. The gums separate away from the teeth resulting to spaces known as pockets. These pockets become infected, the body’s immune system tries to fight these bacteria, but the plague still spreads to the gum line. If not dealt with immediately your whole teeth get destroyed, this is due to toxins which destroys the bone and tissues that support the teeth. Lack of a proper dental hygiene. Illnesses related to the immune system. Flossing: This method removes food particles that are in between the teeth, it prevents the growth of harmful bacteria formation. Using cloves and tea tree oil essential oils: It constitutes of cloves and melaleuca also known as tea tree. You apply these essential oils on your gums or use it while brushing your teeth; it has antibacterial qualities which prevents gingivitis. Using coenzyme Q10: About 100mg daily can heal any form of gingivitis. Vitamin C: Taken twice daily it helps strengthen the gums and forms healthy tissue and teeth. Taking green tea: About 1 to 3 cups daily make sure it is unsweetened and the polyphenols on it helps prevent gingivitis. Oil pulling: Using 1 tablespoon of coconut and 2 drops of essential oils used to gaggle in mouth for about 5 to 20 minutes. In conclusion, treating gum diseases helps to reverse tooth decay. As mentioned, you should always take care of your oral hygiene or alternatively you can make homemade remineralizing toothpaste. Foods that help treat gum diseases include: wild-caught fish, fresh vegetable juice, chewing gum with Xylitol, raw vegetables with apples, and fat soluble vitamins. Try to avoid foods such as: sugar, fruit juice, processed foods, grains and hydrogenated oils. One usually experiences discomfort for a short period of time at a certain time, mainly cause by decay on the tooth’s surface, loose filling, or a root surface that has been exposed leading to gum recession and abrasion. It might not be anything serious but in case of sensitivity, try to keep it clean by using a soft toothbrush using fluoride toothpaste. Clean around the gum line and remember not to brush your teeth more than twice a day. Similar to an ointment treatment rub the toothpaste on the tooth surface and leave it for ten minutes or so every day, in case of severe sensitivity consult your dentist. This pain may be due to decay, loose fillings or a cracked tooth; it is highly recommended that you visit a doctor in case the pain worsens. The pain might be caused by damage at the pulp tissue, which would require your doctor to perform a root canal treatment and clean the damaged pulp by disinfecting it, filling the space, then sealing it up to protect the tooth. A decay will need to be gotten rid off, while a loose filling will need to get replaced by your dentist. A cracked tooth can be easily treated, however it depends on its location, depth and how it is connected to the pulp. After any dental treatment obviously you are obviously prone teeth inflammation caused by inflammation of the pulp tissue. The sensitivity would last only for a few days, but if it is due to plaque removal or crown replacement it would last for about two weeks or so. One can use mild pain relievers such as acetaminophen or aspirin, and if pain persists visit your dentist. This is mainly due to dying pulp inflammation, deep decay or even physical trauma. In this case you are advised to visit your dentist to diagnose the problem before it becomes severe, most likely there is an abscess development on your teeth, therefore the teeth would require a root canal treatment to remove dying and useless tissues to save your tooth from further damage. It is mainly caused by a spreading infection or an abscess that easily spreads from the pulp to the periodontal tissue and bone. Visit your dentist as soon as possible, whereby a root canal will be required and mild painkillers such as acetaminophen and aspirin which will help ease the pain during the healing process. Among other symptoms such as dull aches, pressure on the upper teeth and sinus area; you might experience jaw pains and mild discomfort around the teeth and jaw while biting. In case of such issues see you dentists for a proper evaluation, and in case of severe pain your doctor will recommend you to a physician. How to brush properly with dental braces. Please watch the above video to learn about proper dental hygiene with dental braces. According to the American Academy or Orthodontics (AAO), the reconended daily dental hygiene differs among dental clinicians specialy dental braces specialists aka Orthodontists. This includes the daily number dental brushings with tooth brush or mechanical electronic brush. The important conclusion is the need to dislodge food particles around the teeth and braces mainly after each meal. The crushed food particle specialy broken carbohydrate containing meal can cause significant cavities. The tooth brush surface or bristles mush have maximum contact with tooth surfaces at all angles and have maximum reach to dislodge food debris and plaque. Technical treatment updates in dentistry. In this time of technological development in the medical line, as well as the field of dentistry which has gotten new gadgets for offering the best mouth/tooth medication to patients and one such machine is dental digital imaging machines. These technical instruments will be of extraordinary use to the dental practitioners to offer the right sort of treatment once the proper analysis has been made since they are equipped for identifying the main cause of the bad oral conditions of the patients. Notwithstanding how cost it is , numerous dental experts, especially cosmetic dental specialists wish to buy this kind of modern machines for offering the best treatment to their patients. It has turned into a system for dental medical centers to keep in pace with the most recent development on digital intra-oral cameras, machines for digital radiology, laser dentistry, and many more… Thus, now, the inquiry in the matter of what is the most recent technology in the field and in the late years, it is about dental digital imaging. For such a variety of years now, the radiologists were stressed for seeing the digitized images and this issue has now been solved by the most recent progressions in radiological instruments implied for oral treatment. Without a doubt, present day field of dentistry is diagnosing and treating every single issue relating to oral wellbeing right from obtaining dental treatment instruments online to diagnosing of the oral cavity, gingivitis and for knowing whether a patient will need to experience root trench treatment. There are organizations managing this new dental treatment gadgets and these organizations are keeping themselves informed when another gadget enters the dental sector. In this way, dental specialists keeping in steady touch with these sorts of associations can keep their medical center upgraded with most recent innovatively modern equipment to help them track down the proper cause of pain in the mouth/teeth and can undoubtedly treat the same with no problem. This will likewise empower them to develop their dental treatment job and they will have the capacity to get increasingly patients because of the right sort of treatment offered by them. These days, the significance of dental treatment has been enormously known by individuals and especially the people visiting dental specialists. Here, a large portion of the general population who has some dental issues that affects their appearance, wish to get it revised and when going to a dentist at the same, an expert with a digital imaging framework can offer a good picture of what should be addressed to help them to get an incredible face expression. The most moderate technique for getting medical digital images is conceivable through Computed Radiography. As it is adaptable for use in many specialization zones. Advances in Periodontal Tissue Regeneration procedure. Benefits of Periodontal Guided Tissue Regeneration procedure.The main cause of periodontal disease is bacteria in the form of a sticky, colorless constantly forms on your teeth. Plaque – oral bacteria- buildup is one of the cardinal causes that contributes to bone loss and gum disease. However, many factors can cause periodontal disease or influence its progression. Your bone and gum tissue should ﬁt snugly around your teeth like a turtleneck around your neck. When you have tissue and bone periodontal disease, this supporting structure is destroyed and pockets develop around gum tissue in the oral tissues surrounding your teeth. Gradual constant irritating plaque and bacteria accumulation around the gum will eventually cause advance periodontitis, too much bone is lost, and the teeth need to be extracted. Your periodontist or dental specialist has recommended a regenerative procedure because the bone supporting your teeth has been destroyed (see figure 1.0). These procedures can reverse some of the regenerating lost bone and tissue. Damage by improving healthy bone regeneration and eventual cessation of periodontal tissue support loss and damage. During this procedure, your periodontist folds back the gum tissue and removes the disease causing bacteria. Membranes (ﬁlters), bone grafts or tissue- stimulating proteins can be used to encourage your body’s natural ability to regenerate bone and tissue. As you can see, there are many options to enhance healthy bone support for your teeth and to restore your bone to a healthy acceptable biological supporting level (see ﬁgure 2.0). Your periodontist, dentist or gum specialist will discuss your best options with you. What are the procedure benefits of periodontal tissue regeneration procedure? Eliminating existing bacteria and regenerating bone and tissue helps to reduce pocket depth repair damage caused by the progression of periodontal disease. With a combination of daily oral hygiene increase and professional maintenance care, you’ll improve the chances of keeping your natural teeth —and decrease the chances of serious health problems associated with gum disease. a sore mouth, here are a few steps to reduce the discomfort caused by braces:Eat only soft foods for the first few days. like apple sauce, fruit smoothies, and soups. Try eating cold and frozen foods. discomfort caused by sensitive, pulsing gums. Avoid foods with a high acidic content. with citrus can cause that sore to sting and increase inflammation. Avoid hard and sticky foods. brace bracket comes undone and causes inner-mouth cuts and scrapes. and pain brought upon by orthodontic dental braces. to brush your teeth and braces several times a day to prevent tooth damage and decay. braces:1. Start with strong swishing and rinsing with water. teeth. Ask your orthodontist for these products, or simply try any retail drug store. 2. Brush in circular motions around your gums. braces, which can cause even more irritation and dental procedures in the future. 3. Go for the electric brush. can allow for less brushing time with its more efficient nature. model is specifically designed to fit around braced teeth. 4. Say NO to a whitening toothpaste. properties, resisting the temptation to whiten. straighter smile when it’s finally time for your braces to come off.